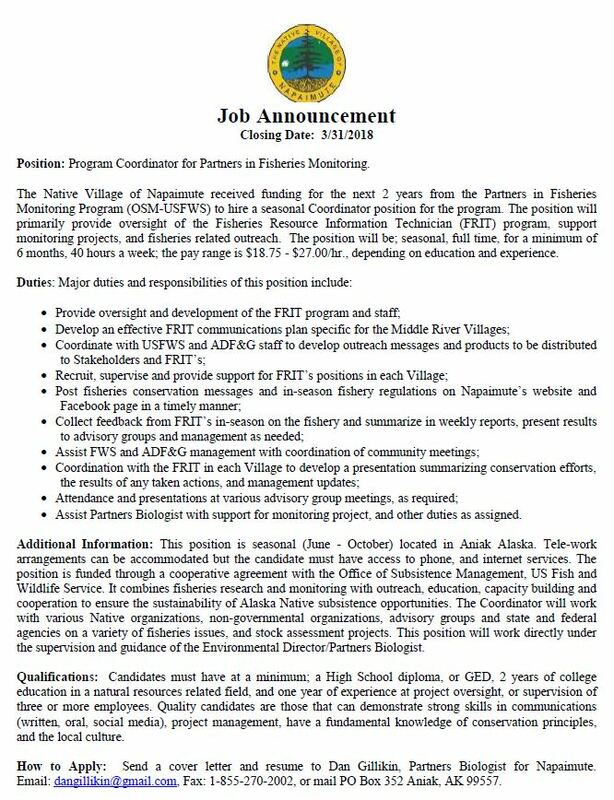 If interested in applying for work with the Native Village of Napaimute, please fill out the job application form below in its entirety (click on the link to open the application then save it to your computer). Applications can be mailed to the Native Village of Napaimute, P.O. Box 1301, Bethel, AK 99559, e-mailed to napaimute@gci.net, or delivered in person to the Bethel or Napaimute offices.